New Year, new me! At least that’s what we tend to say when January 1st rolls around, right? While people strive to better their lives with New Year’s resolutions in many different categories, improving health and wellness is always a popular goal – but do you know how many people actually stick to those New Year’s resolutions? Forbes reported that only 8% of resolution setters actually achieve their goals. It’s easy to let life get in the way of personal goals. We have jobs, families, school, and other responsibilities, but a number THAT low was surprising to me and the majority of people don’t even keep their resolutions more than a few weeks. Improving overall health and fitness is a personal resolution of mine for 2017, so this got me to thinking: what can I do to make sure I’m in that 8%?! I found some inspiration from two notable ladies right here in the Saint Rose community. On a daily basis, I find motivation from current Saint Rose student and certified yoga instructor, Sabrina Bonaiuto ’18. 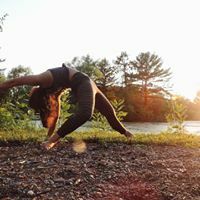 She’s a Psychology major with a concentration in Health Psychology and teaches yoga classes a few time s a week throughout the Capital Region. Her Facebook Page is filled with positive anecdotes and provides motivation to get through those times when you might start to wander away from your goals. Something I found even more special about Sabrina is that she gives back to the Saint Rose community by sharing her talents with her peers. 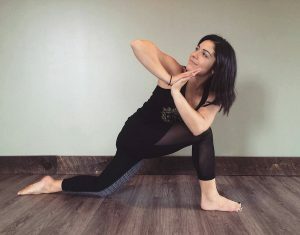 She conducts yoga classes with the Saint Rose Men’s Basketball and Cross Country teams and is continuing to expand her practice with other Saint Rose athletic teams. Yoga has many benefits for both mental and physical health and is a great tool to improve wellness. Find out more from Sabrina by visiting her website. I was also thinking that I really want to challenge myself this year and try something outside of my comfort zone. Joining a gym can be so intimidating for a beginner – and then I met Saint Rose Alumna Leia Nardacci. As a two-time alum, she received her BS in Childhood Education (Grades 1-6) in 2005, and her M.S.Ed. in Literacy (Birth-Grade 6) in 2006. 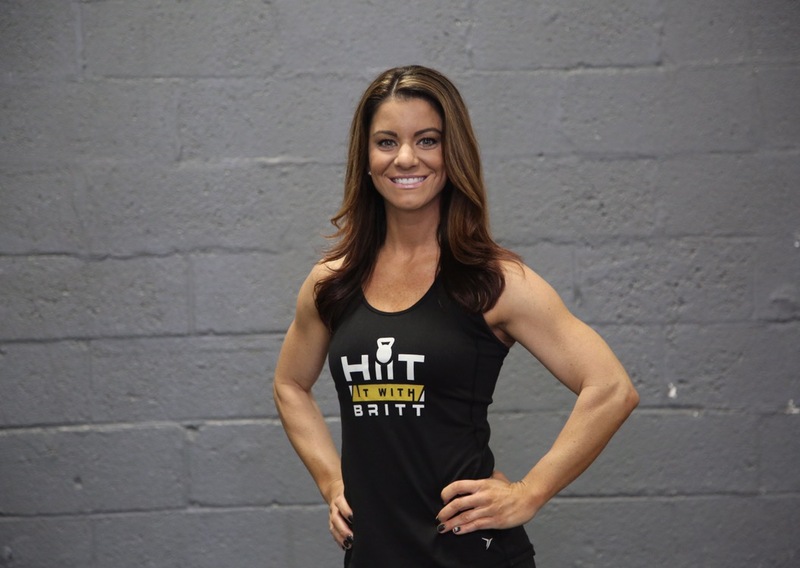 She shapes little minds as a first grade teacher and helps people reach their fitness goals as a personal trainer at HiiT it with Britt, which was voted one of the best fitness centers in Albany. Leia gave me some advice on how to stick to my New Year’s fitness resolutions: “Give something a month. You won’t see immediate results after your first class or two. Give your body a month to adjust to the exercises you are doing. It’ll start to get easier and you’ll begin to see changes in your body. Change takes time, so give it time.” She also recommends finding a buddy to work out with and being open to trying different forms of exercise to discover what’s right for you. Sticking to resolutions is challenging, but I’m so happy that I can find motivation through my Saint Rose connections. What are you doing to reach your New Year’s goals? Comment or send me an email at MadsenC@strose.edu!